﻿New: Public Act 16-86 amended 16-234 to require the electric distribution utilities to provide to each town and borough, by January 31 of each year, a plan detailing the proposed roads or areas where tree pruning and removal is proposed for the forthcoming calendar year and to provide an estimated time schedule for the work. The town must make the the plan available to the public within 14 days of receipt. Public Act 16-86 also amended 16-234 to require the utilities to provide for the removal and disposition of any debris resulting from pruning and removal done at their request. It also ﻿amended 23-59 to allow tree wardens to post groups of shrubs instead of only individual shrubs. Greenwich Tree Conservancy Brochure: "What are My Tree Rights Relating to Public Utilities"
GCNH Flyer for distribution in your town or city: ﻿ "Protect Your Community's Street Trees﻿"
PURA Final Decision: Report to General Assembly on Utility Vegetation Management Practices PURA required the utilities to bring their notices to property owners into compliance with explicit statutory requirements now. 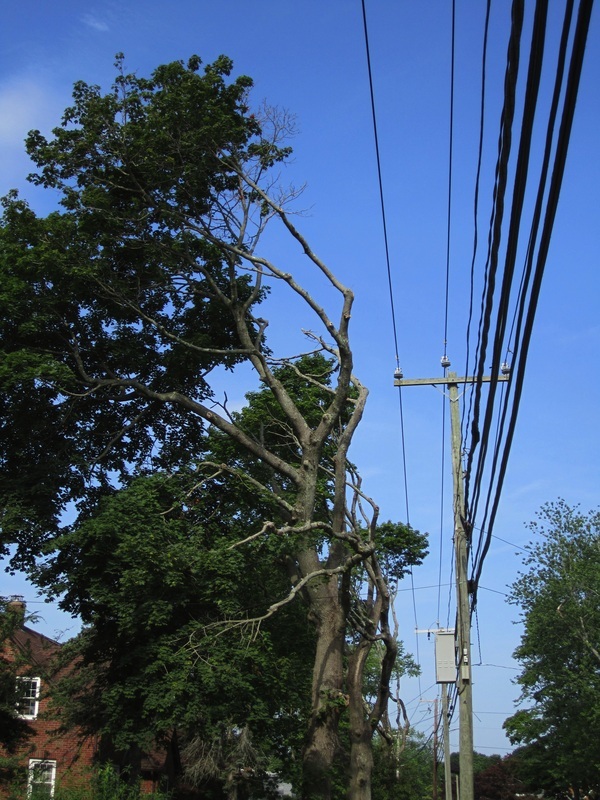 However, the decision allows the utilities to ask tree wardens for permits to prune or remove trees according to rigid line clearance standards, such as ETT, without evaluating and specifying which trees need to be pruned or removed (often referred to as a "blanket permit"). PURA recognized the authority of tree wardens to require evaluation and justification of pruning and removal by the utilities prior to issuing permits and to otherwise regulate such work, but, if a tree warden does not exercise his/her authority, it falls to property owners alone to object or request a modification. If some property owners in a community do not understand the loss of benefits, including reduced property values, that unnecessary removal of mature trees can cause, all property owners will be harmed. a publication of the Connecticut Fund for the Environment.